Steven (Chicagoland, United States) on 2 September 2009 in Architecture and Portfolio. 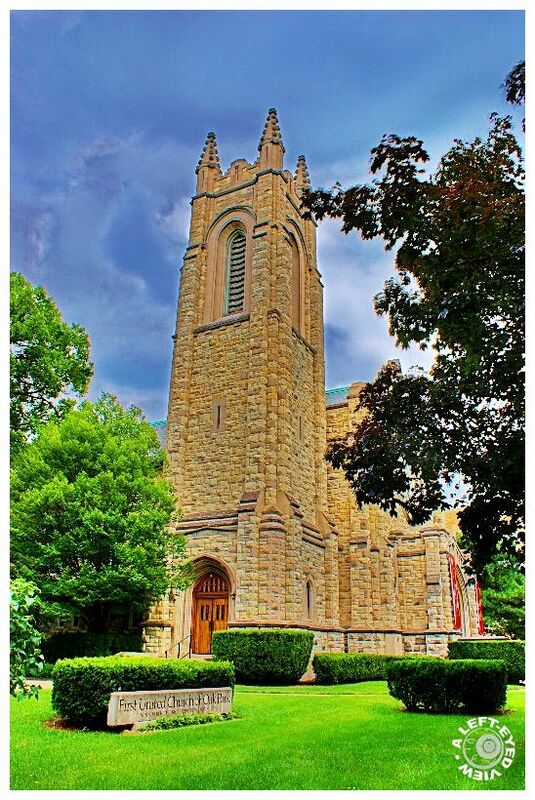 The bell tower of First United Church of Oak Park, Oak Park, Illinois. Photo taken July 19, 2009. Gorgeous framing and super processing ! Colors are brilliant ! I like the textures of the tower and building. Church and surrounding park are very well balanced. A peaceful scenery. I especially like the sky. Looks like you found your game with these last two HDR's.